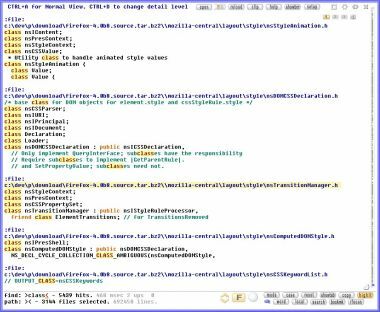 Search Text Files As You Type with Depeche View. 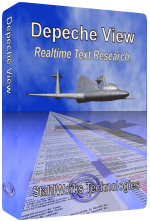 Depeche View makes a search across many text files extremely simple and fast. You never have to think where to search for something. Search As You Type - Instantly. Just load all text files of a folder, then type a word. It will be searched instantly across all loaded files. If you try the Depeche View Pro Demo, you will see that a single word search across 3000 files normally takes less than one second. The search is so fast because all text is kept in the computer's main memory. Furthermore, Depeche View comes with a powerful built-in search engine that can build it's search database on the fly while text is loaded. Forget about hour-long index creation, as it is the case with other search tools. 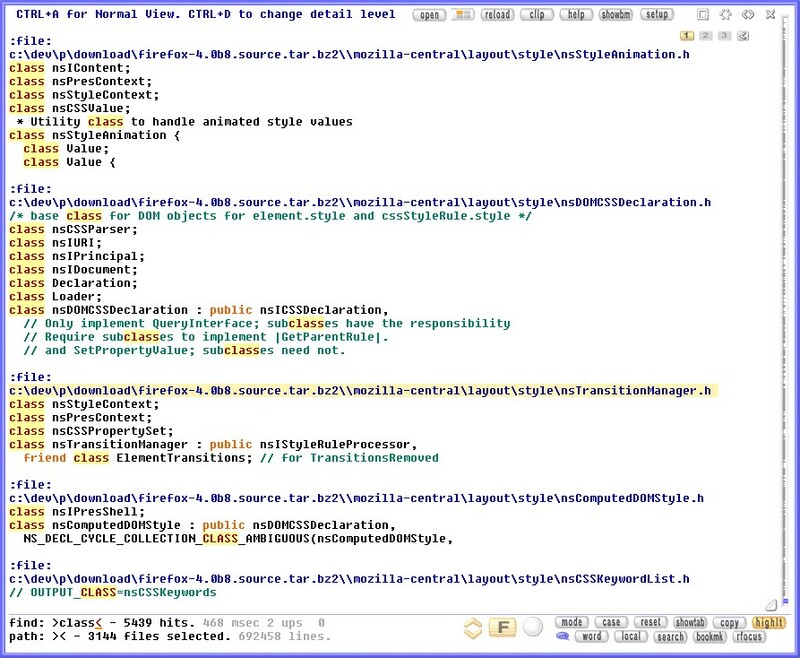 Just load any text from any folder, and you can fly over those contents instantly, faster than with any other text editor, search tool or IDE. You may also search words that you read on screen just by clicking on them.